Register your information with the Thorp Alumni Association. View the names of Thorp graduates, faculty and honorary members who have registered. 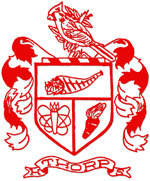 Excess Thorp High School annuals from various years, ranging from 1931 to 2012, are available. Click here for a detailed list and ordering information. Click here to read a report about the Thorp Alumni Association's 44th Annual Thorp Alumni Association Reunion, held Saturday, June 30, 2018. The TAA is looking for volunteers to do small pieces of the job of running the organization. Some jobs require good computer skills, but not all of them. Let us know what you can do to help. Contact the TAA by email: thorpalumniassoc@gmail.com or phone at 715-669-3690 or 715-669-5468.